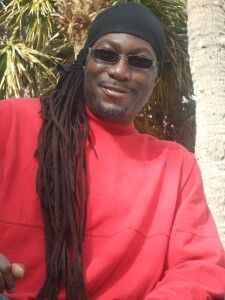 Jahfa Culture was born in Sheffield, UK and currently resides in the Tampa Bay Region of Florida, USA. His earliest musical influence began at the age of 14 as a drummer with reggae band “Inner Strength” and his earliest singing inspiration started with Dennis Brown. He started performing across the Yorkshire and Midlands territories at the age of 15. In his late teens after arriving on the scene in London and learning about music and the reggae industry he received great vocal advice from Neil Fraser AKA Mad Professor, producer at Ariwa Records (London) and Jah Shaka (London) which he still uses today. In 1986 Jahfa Culture teamed up with Jah Tubby’s (London) to produce the soundman anthem and now highly sought-after “Listen to We”. Since then Jahfa Culture has worked with Rootsman Carl from the Roots Connection (London) producing “Commando Commando” & “Baby I Love You” (1987), Mike Maverick with Action Records (Nottingham) producing the singles “When I See You Cry” & “Party Time”, produced the collaboration album “Truth, Justice & the Raggamuffin Way”, worked with Speng Gorgon in Sheffield producing “Rain From the Skies” and self-produced “I’m Gonna Make Sure” on Commando Records (Sheffield), backed by The Steel City’s Mighty Mosiah Warrior band. Jahfa Culture has also performed with various soundsystems such as Young Rebel (London) and Kumasi Warrior (Sheffield). In 2003 he founded “Freestyle Vocals” based out of Sheffield, UK and has since expanded the business into the Tampa Bay Region, USA. He has taught well over 2,000 singers from various parts of the UK and beyond, covering a wide array of diverse musical styles and received his Certification in Vocal Studies at Sheffield University. Moving forward into 2012 and Jahfa Culture is still going strong; Look out for the release of “Revelation Time” in September 2012, produced by Crucial Steve at Righteous Works (London) and written by Jahfa Culture, voiced at Pedro EA Production in St. Petersburg, FL and lyrically inspired by the times in which we are living in. Jahfa Culture would like to thank his wife for putting the biography together, and Crucial Steve for making this project happen.